Helping to create a more sustainable future for the maritime industry is at the core of the CBS Executive MBA in Shipping and Logistics (known informally as the Blue MBA), and we are excited to announce that AMBA has added a new award to the AMBA Business School Award ceremony in London. To be shortlisted for this accolade, business schools should demonstrate the impact their teaching has on the community and society and how they have taken the initiative in creating a sustainable future by teaching MBA students about social values. This important award will give AMBA-accredited schools a chance to stand out and showcase their innovative and original CSR programmes to the world. At CBS, we are proud to reveal that one of the five nominees is a current participant in the Blue MBA, affiliated with A.P. Moller-Maersk. The nomination follows the design of a Responsible Ship Recycling Programme at the company, created during the final leg of the MBA that is the Integrated Strategy Project. Below bullet points outline the background and the highlights of the Integrated Strategy Project that has been shortlisted for the nomination. Ship-recycling forms an integral part of the international shipping market and supply chain as it helps reduce the over-capacity. In the absence of a global mandatory legal framework, on an average about 80% of the total gross tonnage has been recycled at sub-standard yards in the Indian Sub-Continent. The ILO, a UN agency, has called ship recycling one of “the most dangerous occupations” in the world. In 2016, A.P. Moller – Maersk (Maersk) decided to voluntarily engage with the ‘willing to improve’ yards at Alang in India through relational integration and ‘shared value’ proposition. 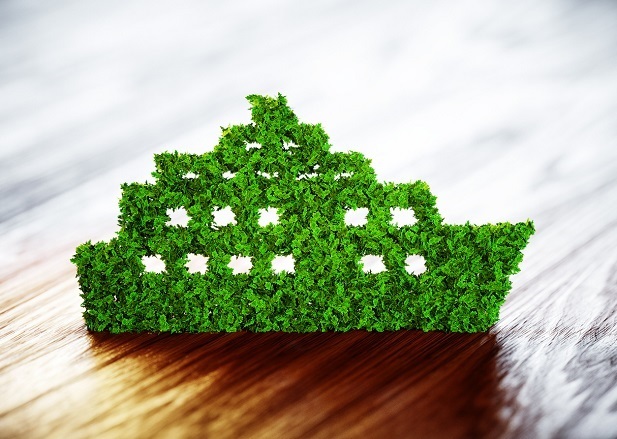 Maersk decided to engage as it was considered in their strategic interest that all ships in the industry were recycled responsibly with an overall synthesis of its commitments, as detailed in the Responsible Ship Recycling Standard (RSRS). The standard demands high worker health and safety standards, stringent measures to minimise environment impact, ILO compliant living conditions, compliance with national laws on labour and human rights and special requirements on anti-corruption and sub-contractors. Additionally, it deploys own supervisors to train the yard workers, increase health and safety awareness and minimise environment impact through innovation. After leading several socio-economic impact studies in the wider Alang area, Maersk collaborated with the Red Cross Society (a global non-profit organisation), Indian government and industry-specific stakeholders to launch the Mobile Health Unit (MHU). The MHU was aimed at improving access to health care services, motivating and enabling workers to seek early, accurate and free treatment. Since its launch more than 6,000 workers (of the 15,000 working at Alang) have been provided free medication on a regular basis, education for promoting healthy living and medical examinations. Work is now ongoing to convince stakeholders to approve a hospital with emergency medical care, tertiary health care and occupational health services for all Alang ship-recycling workers and develop permanent worker dormitories. The Maersk-engagement has led to workers being provided with ILO compliant housing and safer working conditions. Following national laws workers also have access to medical facilities, min. wage, overtime payment, insurance coverage and retiral benefits. In Feb ’18, Maersk CEO – Soren Skou stated, “Improvements at Maersk-engaged yards in Alang have been so big, that they now represent a real alternative to China and Turkey”. This serves to remind that for a business to be truly responsible, it must focus on the triple bottom line – People, Planet and Profit.